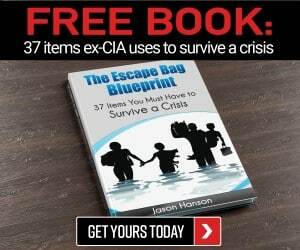 The flu can be deadly even before a SHTF disaster when modern medical care is still readily available. The 2017-2018 winter flu season has been the most deadly in several years. Growing your own apothecary is the best way to keep both yourself and your family healthy during a doomsday disaster. Elderberries not only contain a higher vitamin C content than oranges, but they can be brewed into a tea or turned in a syrup to help sick loved ones recover from the flu. Each year, tens of thousands of people get a flu shot, and still get the flu. Why? Because the vaccines are made before the latest strain of the illness has finished evolving AND because of faulty or contaminated vaccines – which also happened this flu season. The flu is not what kills you, it is the symptoms of the virus and the secondary infections and immune system deterioration it causes. Once the flu virus enters the body, it starts hijacking cells in the throat and nose to literally make copies of itself before invading the entire body. To combat the attacker, the immune system calls up the troops, antibodies, inflammatory molecules, and white blood cells, just to name a few. The flu virus usually goes to battle with the lungs and respiratory tract first. People who become extremely ill or die from the flu, usually suffered an abundantly strong response from their immune system that destroyed good cells, tissue, and molecules, along with the bad. When tissue in the lungs can’t push enough blood and oxygen through, hypoxia occurs, followed by death. Keeping the immune system strong and healthy on a daily basis, so it is prepared to fend off the flu and getting the symptoms of the flu under control immediately, can save lives. Any Survival Sullivan readers who are also Walking Dead fans, might remember the scene when Hershel ventured outside of the prison to collect berries to make a tea to help treat the members of the group who were dying from the flu, until the others got back with antibiotics from a veterinary school. Elderberries were what Hershel went to pick in the walker-infested woods. 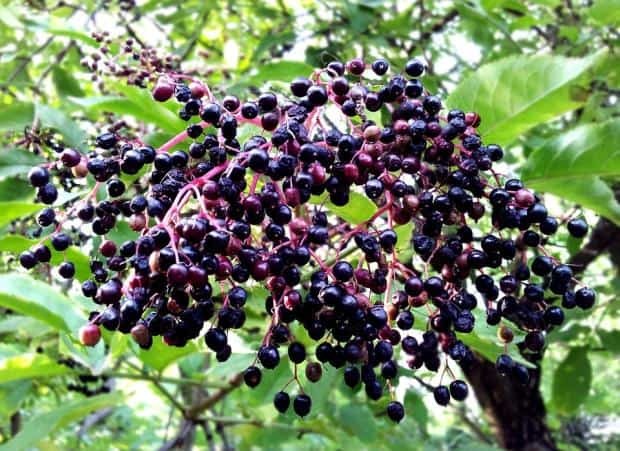 For centuries, Native Americans and folks in my own Appalachian hills (among many other herbal remedy fans, I am sure) have used elderberry tea to treat the flu and the common cold. 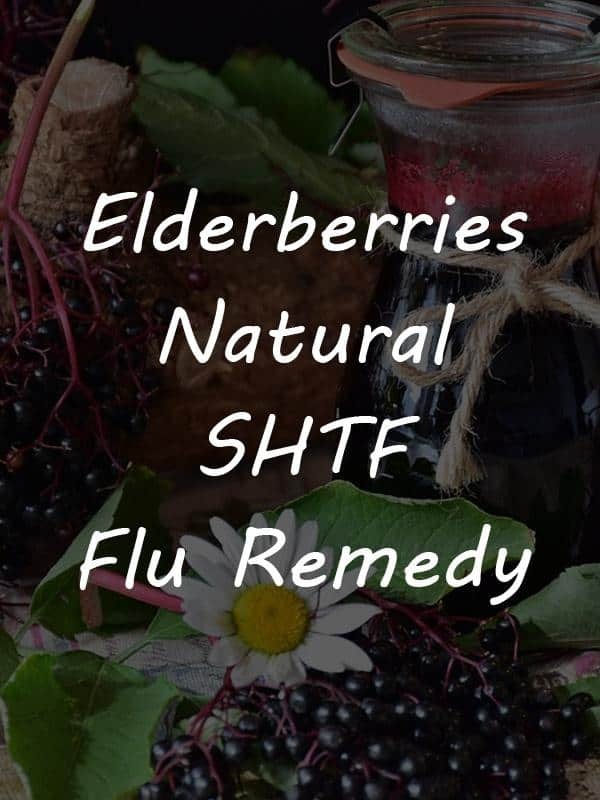 Researchers from the Hadassah-Hebrew University in Israel have conducted studies into why and how elderberries help boost the immune system and beat the flu. The berries are known to stop the production of hormone like material in white blood cells that causes inflammation common with both the flu and arthritis. The elderberries, which boast a high content of vitamins A, B, and C, also increase the production of non-inflammatory infection-fighting material about tenfold. Elderberries have been known to effectively treat eight different strains of the flu, according to the tests at the Israeli university. The types of conditions that elderberries have been used to treat, in addition to general immune system boosting, include: swine flu (H1N1), nerve pain, sinus pain, leg and back pain, rhinitis, HIV/AIDS, constipation, chronic fatigue, and cancer. Dried elderberries can be eaten by the handful, just like the wild black raspberries that grow in many regions around the United States. The berries can be turned into a delicious syrup and used in baking or pancake recipes, or brewed as a medicinal tea. Elderberry tea usually has a slightly sour taste, so pinch off some of the stevia growing in your garden, or pour some sugar to sweeten it. 1. Put the berries, water, cinnamon, and turmeric into a small pot. 2. Bring the mixture to a boil, then reduce the heat and allow it to simmer for approximately 15 minutes. 3. Remove the pot from the stove and allow to cool slightly, for approximately five minutes. 4. Strain the mixture into mugs through cheesecloth or a coffee filter. 5. Stir in the honey and drink. 6. You can also allow the tea to cool completely after adding the honey and pour it over ice for a cold tea. 1. Pour the elderberries and water into a pot. 2. Add in the cinnamon and any optional ingredients. 3. Bring the mixture to a boil, cover, and reduce to a simmering heat for approximately 45 to 60 minutes. The liquid in the pot should simmer down to about half of its former level. 4. Remove the pot from the stove and mash the berries with a wooden spoon or similar manual kitchen tool. 5. Pour the mixture into a bowl through cheesecloth, coffee filter, or similar strainer. 6. Once the strained mixture has cooled, pour in the honey and stir thoroughly. 7. Pour the mixture into a one quart Mason and secure the lid. The elderberry syrup should be refrigerated in between uses. 8. Dosage: On a daily basis as an immune system booster or preventative, adults are recommended take up to 1 tablespoon of the elderberry syrup. It is recommended that children be limited to a ½ a teaspoon to 1 teaspoon of the syrup. If taking the syrup during a bout with the flu, it should be ingested about ever three to four hours or four to six times per day, depending upon your symptoms. 1. Put the berries and the water into a pop and bring it to a boil. 2. Reduce the heat and allow it to simmer for about 15 minutes. 3. Strain the mixture like you would with the tea. 4. Pour the strained liquid back into the pot. 5. Sprinkle the gelatin over the mixture and allow it to become fully absorbed for a couple of minutes. 7. Warm the mixture just slightly over low heat while stirring constantly. 8. Blend the juice and berries together in a food processor or blender, pour it into the pot and stir to combine. 9. Pour the mixture into popsicle molds and freeze. 1. Grease the molds to prevent the gummy vitamins from sticking. 3. Mix in the hot water and stir consistently until it is completely combined. 4. Pour the mixture into the molds. 5. Put the molds into the refrigerator for about three hours, or until they are firm. The gummy vitamins usually last about one week in the refrigerator. 6. Recommended dosage for children: take one elderberry gummy vitamin daily. Elderberry bushes typically churn out fruit more quickly than many other types of fruit-producing trees or bushes. Usually, you will get a full harvest of elderberries from you bush within just one or two years of planting. They area very low maintenance plants that pioneers once considered nothing more than a ditch weed – until they discovered how sweet the jelly and wine made from them could taste. Elderberries are hardy in agricultural zones three through eight. The bushes also make great natural fencing material. In only about four years times, a single bush can turn into a full and very dense hedge. In a typical season, an elderberry bush can grow at least two feet. When fully grown, expect the elderberry bush to range in height from 6 feet (1.8 meters) to 16 feet (4.8 meters). Some wild elderberry bushes have been recorded to grow as tall as 50 feet. • Bare root plants and starts cut from existing bushes should be planted in the early spring. • Container plants can be planted anytime of the year if they are started indoors. 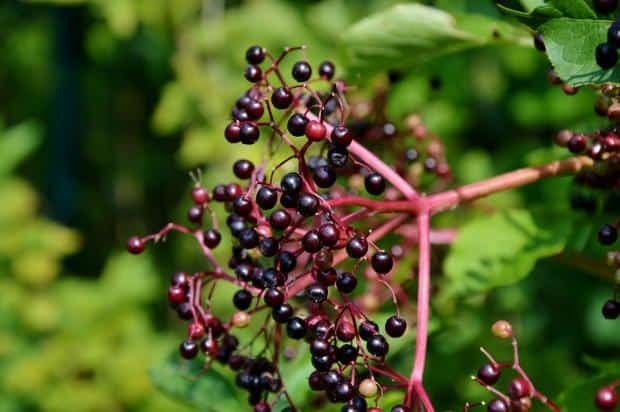 • Elderberry bushes thrive in a soil that has a soil pH balance between approximately 5.5 and 6.5 – but they have been known to grow just fine in well-drained soil with a higher alkaline content. • Elderberry bushes require frequent watering during their first year of growth, but are very drought tolerant in following years. • The bushes thrive in full sun but can tolerate being planted in areas with partial shade. • If the elderberry bush is growing normally, expect to see white flower clusters appear in the spring to early summer months. The white clusters will be followed by tiny green berries that turn purple and then black by the end of the summer. There are several varieties of elderberry bushes. The Sambucus candadensis – the American elderberry, is known for its fruit and medicinal properties. The Adams, Johns, Nova, and York varieties of elderberries also produce ample fruit. For best results, plant to different varieties of elderberry bushes near each other to foster enhanced pollination. 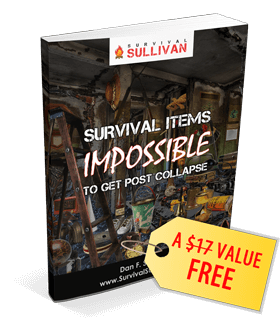 Previous Is Homesteading the Best Way to Prepare? Elderberries grow wild on my property. How hard would it be to dry them? Can it be done in an electric oven? Lucky, lucky you! We had a few bushes but had to grow more from starts. They are as easy to dry as any other berry. I use a dehydrator, but if you oven can be turned down to between 100 to 130 degrees you should be able to use it as well. Our dehydrator is not a fancy or expensive one, it cost less than $100 and has worked great under extremely heavy use for three years. 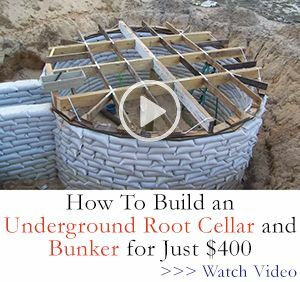 You could also make a simple solar dehydrator using a wood frame, screen lifted up on some bricks, and a piece of glass (we use an old window) or Plexiglass for a top, or a solar dehydrator. If drying something especially thick, we put a metal tray as a base on top of the ground before putting down the bricks and screen. I planted six dozen elderberry bushes. The are doing great. About eight feet tall. I expect the to have canes almost twenty feed tall this summer. I planted them because of the quality of the pollen. I keep bees. The bees collect and store the pollen in the summer and use it to feed their brood the following year in the spring. The quality of the protein in the food they feed the larva determines the health of a hive. The flowers are great in lemonade also. The canes will grow ten feet a year here in the South East. Here my flowers last from July until November. The southern growing season makes me jealous! In my part of Appalachia we harvest in September for most things and then do a bit of fall planting. Last year we had a warm spring and hot summer, so all of our berry bushes came on early and some got scorched but others did flourish right up through the end of September. My canes are only eight feet tall because I cut them off, because you cannot reach the flowers or berries. Any canes over four years old need to be taken out. When a cane gets old it will stop producing. Take the old ones out in the winter. Keep any canes three years old or younger. The plant keep sending up new canes. Sometimes as far as three feet away from the plant. Thank you for being a beekeeper!! 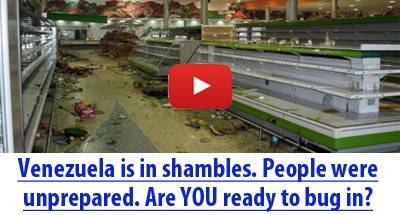 I continue to find it shocking how little attention is being paid to colony collapse. Far too few folks pause long enough to grasp that if the bees all die, the human race is not far behind. Great tip on the canes. I never thought about using the leaves in lemonade, will definitely be trying that this summer.